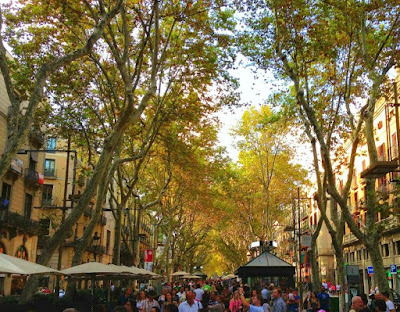 As Barcelona is a Mediterranean city, winters are mild and summers are hot. The city lives four seasons at a year. Barcelona climate is not solid or rough. Even in winters it's warmer than other cities. Winter holiday in Barcelona can be as enjoyable as in summer but of course with its clear and long sand beaches, travellers generally prefer summer holiday in Barcelona. 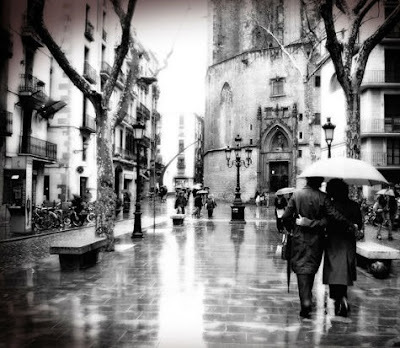 In Spring, Barcelona is as rainy as fall but the temperature in spring is highly 16°C in March, 18°C in April and 22°C in May. Typical climate in Barcelona in spring time as above. So it's possible and not a bad time to visit Barcelona in spring. So what about summers in Barcelona? It's the hottest time and beaches are calling you to experience festive and party spirit but don't forget that Barcelona city is not as hot as other Mediterranean cities. Summer days are generally 28°C. I think it's a good thing to make the best of the holiday in Barcelona as there will be not much humid. And the Fall... Yeah autumn is like a piece of art in Barcelona. The weather is cool and warm sometimes and it's nice to feel the breeze in your face. The temperature gets low to 23°C and the nights are much cooler of course but it doesn't make you feel cold. Strolling the city streets with beautiful scenery and meeting local people at tapas bars at nights. That's the holiday in Barcelona with great memories. If your expectations are high for the winter in Barcelona, I must say that you may get disappointed as there is not much snow in Barcelona city in winters but if you like skiing and don't mind to travel around one and a half hour to the nearest ski resorts called La Molina and La Mosella then of course ski holiday in Barcelona is possible. The ski resorts generally open in December and lasts until April. The weather in Barcelona in winters falls usually to 4°C and get high to 14°C in daytime. Yhe last heavy snow time in Barcelona was 2010 in March. Since that day there is no much heavy winter in Barcelona city. You can also follow Barcelona weather conditions at this page so that you can arrange your holiday. 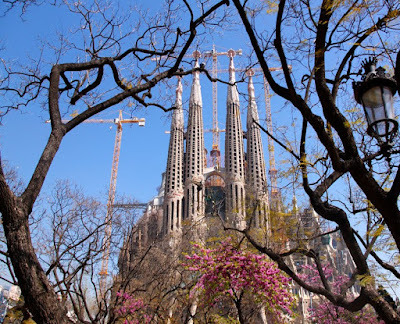 Barcelona travel is always good and you will never regret at whichever season you go.